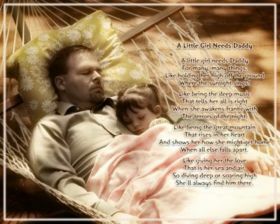 Fathers Day Quotes for the awesome men who are true men. 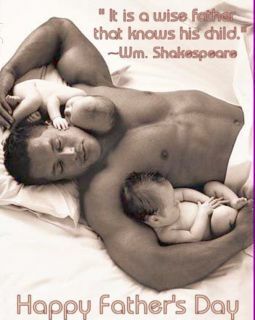 Unfortunately there could be more real fathers out there who raise their children and hold together a family. For those men who are handling their business and doing it well... Happy Fathers Day! "My grandfather always said that living is like licking honey off a thorn." Sherman made the terrible discovery that men make about their fathers sooner or later...that the man before him was not an aging father but a boy, a boy much like himself, a boy who grew up and had a child of his own and, as best he could, out of a sense of duty and, perhaps love, adopted a role called Being a Father so that his child would have something mythical and infinitely important: a Protector, who would keep a lid on all the chaotic and catastrophic possibilities of life. "It is a wise child that knows its own father, and an unusual one that unreservedly approves of him"
"Lucky that man whose children make his happiness in life and not his grief, the anguished disappointment of his hopes. " The greatest gift I ever hadCame from God; I call him Dad! "Fifth Commandment: Honor thy father and thy mother: that thy days may be long upon the land which the Lord thy God giveth thee." "Every parent is at some time the father of the unreturned prodigal, with nothing to do but keep his house open to hope"
"Other things may change us, but we start and end with family"